The book has long been modern civilisation’s most treasured material artefact, as principal propagator of information and ideas. As an object, books have proven their dynamism through the years by their adaptability to cultural and technological changes, maintaining relevance into the digital age owing largely to the recognition of their creative potential. What broadly distinguishes artists’ books from ‘regular’ books is that their very materiality is intrinsically related to the idea or meaning of the object itself. In other words, the artist or maker recognises the unique properties of the book form and uses this platform to convey an idea that could not have been effectively expressed another way. The inherent hybrid nature of artists’ books, often combining literary, performative, narrative and sculptural elements, led to longtime advocate Johanna Drucker’s claim that they are ‘the quintessential 20th century art form’. Self-Made brings together over 150 artists’ books and zines which illuminate the immense range of interests and causes artists and enthusiasts were involved in from about the 1930s to the present. Most of these are drawn from the formidable State Library of Victoria collection, where this exhibition was first displayed before touring regional Australian galleries. Its most recent iteration was at the Murray Bridge Regional Gallery where it was effectively paired with two other exhibitions featuring local artists: a group show Book Work, and a solo show by Lucy Thomas titled Magic Zine: YOU ARE ART. The curator of Self-Made, Monica Syrette, has focused her selection on books that have taken advantage of the revolutionary phenomenon of self-publishing that flourished during the last century and still attracts a strong following today. What emerges from the exhibited works is the seemingly limitless diversity of preoccupations that existed at different points in history, and how broader cultural movements were absorbed and influenced by individual passions. The SLV started acquiring artists’ books in 1989 and zines in 1999, their collection now estimated to be around 1200 and 1500 respectively. The Library’s commitment to preserving contemporary print culture is maintained through its association with the Sticky Institute, an active distributor of zines located in Melbourne’s underground Campbell Arcade. While the book gained prominence as an art object through the experimentational innovations of the Dadaists, Constructivists, Futurists and other major art movements of the 20th century, it was really at the end of the 1960s when Conceptualism was at its height that artists’ books came into their own. 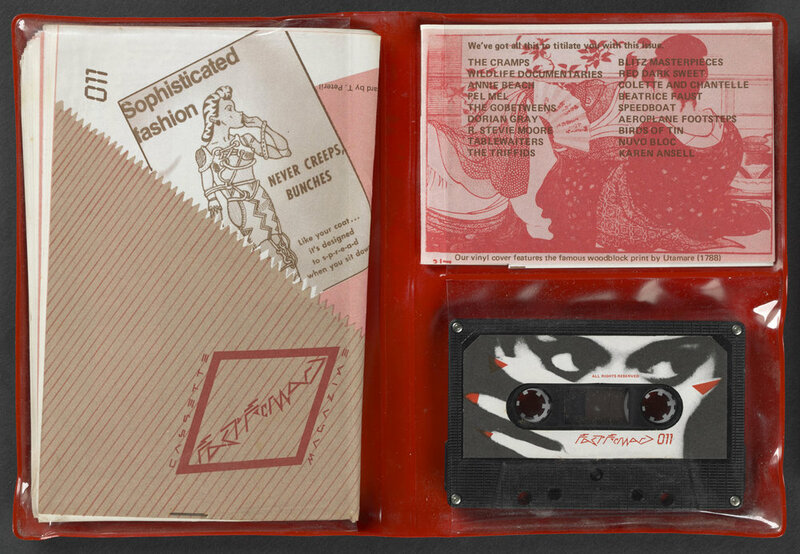 Self-Made contains important examples of works by Ed Ruscha, Sol LeWitt, Dieter Roth, and Australian-based Robert Jacks and Noel Sheridan, who was the inaugural director of the Experimental Art Foundation in Adelaide, one of the earliest institutions to collect and publish artists’ books in this country. Ed Ruscha is considered by many to have legitimised the book as an artistic medium in its own right through his large output of multiple bookworks which placed precedence on ideas over craft and ‘democratised’ the availability and distribution of artwork by being self-published, inexpensive and theoretically reprintable. The exhibition includes his 1966 work Every Building on the Sunset Strip, which photographically documents Los Angeles’ famous Sunset Boulevard, à la Google Street View, in an extensive panorama formatted to unveil before the viewer through the accordion-like pages of a book. One persistent challenge in displaying artists’ books is that the gallery setting often denies the physical interaction necessary to experience the object within a temporal/spatial zone directed by the reader. Here this issue is addressed by incorporating new media – Ruscha’s Sunset Strip, for example, is displayed in its original form as well as through a video installation so that it can be seen in its entirety through motion. This overcomes the limit of accessing the book’s content but still lacks the viewer’s autonomy in controlling how it is read. The ideal environment has been created with the inclusion of reader-copy shelves which visitors are free to peruse, thus preserving the essential tactile element of book to reader engagement. One of the fundamental aspirations of the Conceptualist and Fluxus artists was to find ways to circumvent mainstream gallery systems in order to get their ideas to the people in the most direct way possible. The opportunity self-made books offered to achieve this end was also recognised by special interest groups, whose output was commonly in the form of zines. This exhibition highlights a number of important cultural movements that were formed and upheld by the existence of self-made publications, from 1930s science-fiction fanzines, to punk music mags – such as the legendary Sniffin’ Glue – as well as activist pamphlets and publications that cultivated social and political engagement. Ultimately, self-publishing provides an alternative space or ‘portable exhibition’, that enables marginalised voices to express and empower their views, and consequently must be recognised as important social transcripts that reflect the world in which we live. Identity is a huge component of creating zines and artists’ books as the form naturally lends itself to autobiographical explorations. This tendency is reflected in many works on display in Self-Made, including by Australian artists Jonathan Tse, Bonita Ely, Marian Crawford and Vanessa Berry to name a few. It’s true that the internet provides a limitless space that can reach a potentially infinite audience, but the world of self-made books offers a different kind of creative and consumer experience. Typically, it is a more local, personalised, controlled, and safer model in which to explore ideas, which may be the reason it is still a very popular outlet for artists. Handling these materials created a truly intimate encounter where I found myself feeling an uncanny connection with the creator if some aspect of their taste or style resonated with my own. The self-perpetuating nature of this world is quite captivating, and it is clear that interest in book arts is in no danger of waning as the medium will prove again and again to re-invent itself for the use of any maker. Katarina Klaric is an arts writer and curator who is currently undertaking a PhD in Art History at the University of Adelaide.